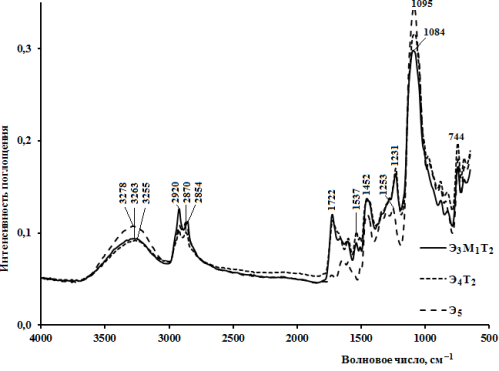 The film materials with ion-exchanged properties on the basis of the polymer, obtained by condensation of oligoepichlorohydrined epoxide and piperazine with the subsequent chemical modification have been synthesized. Compounds which have different thermodynamic affinity with the polymer and each other have been used as modifiers. It has been shown that the possibility of overcoming the lack of compatibility of the components by selection of the order of their combination. The result of the combination can be predicted by the Hildebrand parameter values of the ingredients, intermediate products and prepolymers based on them. The properties of synthesized materials can be adjusted by selection of combinations of chemical modifiers: toluilenediisocyanate, epoxyed soybean oil and tetraethoxysilane. Smitha, B., Sridhar, S., Khan, A. A. Solid polymer electrolyte membranes for fuel cell application: a review. J. Membr. Sci., 2005, no 1‒2, Р. 10‒26.